This Thursday I am showcasing the Epic Celebration stamp set. 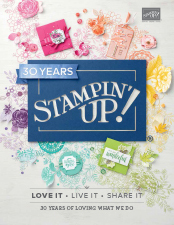 This is currently available as a free stamp set when you place an order with Stampin' Up! of £45 or over. It's a lovely set which is perfect for teenagers and is suitable for both male and female cards. There is also a guitar in… Continue reading Epic Celebration for Saleabration.